Grant Purpose: To support low-income women in Washington, DC with adult basic education, as well as connections and preparation for post-secondary education or advanced career/vocational training. Academy of Hope's mission is to provide high quality adult basic education in a manner that changes lives and improves our community. Since 1985, the organization has helped adults in the District of Columbia prepare for and obtain the GED and National External Diploma Program (NEDP). Academy of Hope focuses on two "pathways” – college and workforce – for adults to ultimately improve their academic skills and enter college, or to upgrade their job skills and obtain living wage employment. Individual assessments and counseling tailor the organization's services, including intensive academic instruction, computer literacy training, college prep and counseling, career assessments and job readiness courses. Grant Purpose: To support AppleTree Institute’s increased communications and advocacy efforts in Washington, DC, aimed at defining quality early education in terms of child outcomes that result in school readiness. Since 1996, AppleTree has worked to increase children’s access to quality public education to prepare them for success in school, careers, and life. 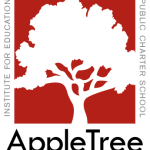 AppleTree Institute was founded to increase the supply of effective schools through innovation. In 2001, AppleTree Institute opened a tuition-free, laboratory preschool implementing a research-based language and literacy program. In 2005, the first AppleTree Early Learning Public Charter School (AELPCS) campus opened, and added six more campuses in the next five years across Washington, DC. AELPCS is a public charter school authorized by the District of Columbia Public Charter School Board open to all three- and four-year olds in the District of Columbia. AELPCS’s mission is to provide young children with the social, emotional, and cognitive foundations that will enable them to succeed in school. Grant Purpose: To support low-income women in business planning and development activities to achieve small business ownership by partnering with four business development centers in the Washington region focused on micro-enterprise development for women. Capital Area Asset Builders (CAAB) provides financial education curriculum to low- and moderate-income individuals and families in the Washington region. Topics include budgeting and saving, understanding credit, understanding income taxes, saving for retirement, saving for college, and investing. CAAB also provides matched savings programs (through Individual Development Accounts or IDAs) to promote homeownership, postsecondary education, and small business development. Grant Purpose: To support the Women's Workforce Initiative, which increases economic outcomes among low-income, immigrant women through industry-recognized vocational training, work readiness supports, job placement assistance, and other support services. Founded in 1985, CASA de Maryland (CASA) has grown from a small social service organization to the largest Latino service and advocacy organization in Maryland. CASA's mission is to improve the quality of life and promote equal treatment and full access to resources and opportunities for low-income Latino and immigrant communities. In Montgomery and Prince George's Counties, CASA provides access to a variety of social, legal, and employment services. The organization's "Welcome Centers" serve as hubs of activity in the day laborer community, and are recognized as a national model in addressing the employment-related needs of low-income immigrants. Grant Purpose: To support the CentroNía Institute in piloting and testing the Unpacking CLASS Tool Kit, an instructional guide that helps early childhood teachers and center directors improve teacher-child quality interaction in the classroom. CentroNía is a nationally recognized, award-winning educational organization providing affordable, high quality education, professional development and family support services to more than 1,500 children, youth and families in the greater Washington metropolitan area. CentroNía’s mission is to educate children, youth and families in a bilingual and multicultural environment to ensure that every child receives a high quality education regardless of socio-economic background. In addition, CentroNía strives to build a community where all teachers and staff are growing and learning along with their students, ensuring support for on-going professional development. The mission of Children’s National is to excel in Care, Advocacy, Research, and Education. Children’s accomplishes this by providing a high quality healthcare experience for our patients and families; improving health outcomes for children regionally, nationally, and internationally; and leading the creation of innovative solutions to pediatric health challenges. Grant Purpose: To support planning for two-generation work that serves middle school aged girls and their mothers or female caregivers. The College Success Foundation-District of Columbia (CSF-DC) was established in 2006 to address the critically low college graduation rates of students in public and public charter schools in the District of Columbia, particularly in Wards 7 and 8. Modeled after its highly successful parent program in Washington State, the organization provides academic, social-emotional, and financial support for students and their families, to place students on the path to high school graduation and college completion. This year, the organization served over 2,000 young people from middle school through college. Grant Purpose: To help low-income women increase assets by reducing tax liabilities and receiving tax credits for which they qualify, and by avoiding tax penalties, high fee preparation services and predatory products. Community Tax Aid, Inc. is a nonprofit organization that provides high-quality, full-service federal and state income tax preparation and representation services at no charge to low-income individuals and families in the Washington, DC metropolitan area. Through the DC EITC Campaign, Community Tax Aid engages over 40 partner organizations, including another Stepping Stones Grantee Partner, Capital Area Asset Builders, with whom CAAB co-directs the campaign. Grant Purpose: To partner with the DC Fiscal Policy Institute to advocate for high-quality child care for low-income families in the District of Columbia. DC Appleseed is dedicated to solving important public policy problems facing the Washington, D.C. metropolitan area. To advance this mission, DC Appleseed organizes volunteers, including attorneys and other experts, who work in teams to analyze and develop solutions to problems facing the region. Depending on the problem being addressed, DC Appleseed's projects involve working with broad coalitions, issuing reports, participating in regulatory proceedings, bringing lawsuits, managing public education campaigns, and meeting with and/or testifying before governmental decision-makers. The DC Promise Neighborhood Initiative (DCPNI) was established in 2009 with the mission to increase the number of children who complete their education from cradle to college and enter adulthood as productive participants in the 21st century economy and in the civic life of their communities. DCPNI is a place-based strategy for serving the Kenilworth/Parkside neighborhood in the District’s Ward 7. The organization was selected by the Department of Education as one of 57 Promise Neighborhoods across the United States, and is currently supported by multi-year federal funding. DCPNI has adopted a two generation approach to its work. Focus areas include: Early Learning, K-12 school reform, College/Career, and Family/Community wrap-around supports.